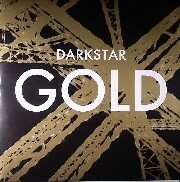 "Gold" is the new single from Darkstar’s highly anticipated debut album ‘North’. In contrast to last year’s very popular ‘Aidy’s Girl Is A Computer’ 12”, ‘Gold’ is indicative of Darkstar’s current direction as a three piece group. The single is an inspired cover of ‘You Remind Me Of Gold’, a Human League b-side from 1983, prompted when the band heard the original 45rpm record played at 33rpm. Rich piano lines, elegant synths and gauzy micro-rhythms accompany lead singer James Buttery’s languid, computer-processed vocals, to create a poised and quietly epic song that will stay with the listener for ages to come. On the flip side, up and coming Berlin-based producer John Roberts, known for his output on Dials, creates a track that recalls classic early house, twisting the piano figure into energetic shapes over a deep melodic bass-line, somehow keeping the softness and atmosphere of the original locked into the mix.